For many years the routine medical approach in treating peptic ulcers has been to reduce gastric acidity with antacids or strong drugs which block stomach acid secretion. Two of the world’s best-selling medications for this are Zantac and Tagamet. They are now available in OTC (over-the-counter) versions at somewhat weaker strengths. In prescription form, however, they are much stronger but also more expensive: Zantac at $48.00 for 30 tablets, and Tagamet at $29.00 for 30 tablets. A relatively new third anti-ulcer medication that made its debut in late 1995 is called Prilosec. It is extremely potent and terribly expensive at $104.00 for 30 tablets or a month’s supply. While they do work for the purpose they’re chiefly intended, namely to halt stomach acid production and thereby give relief to ulcers, all three have some nasty side effects if taken for very long. The number involved reads like a bad laundry list of health dilemmas: nausea, vomiting, constipation, diarrhea, some vitamin and mineral deficiencies, liver damage, hair loss, male breast enlargement, dizziness, allergies, headaches, osteoporosis, depression, insomnia, and impotence. This is why it is much better to use something natural — an agent that is simple but safe and effective, and inexpensive. 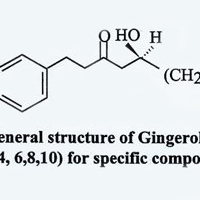 The compound referred to is DGL or Deglycyrrhizinated Licorice. The glycyrrhizinic acid component of the root has been removed since it can aggravate hypertension, irritate the kidneys, and induce gout if accumulated in the body for very long. 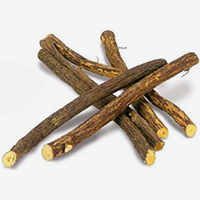 DGL is the preferred form of licorice throughout Europe, much of Asia, and India. But, oddly enough, it is hardly used by herb companies in North America. But what would happen if DGL were tested against Zantac and Tagamet? In several head-to-head comparison studies, it was amply demonstrated that DGL was more effective than either Zantac or Tagamet in both short term treatment and maintenance therapy of peptic ulcers. Furthermore, DGL yielded none of the untoward side-effects that the other two drugs did, and did the job of ulcer healing at just a fraction of the cost. Ulcer sufferers can obtain outstanding help at a fabulous price: two 380 mg chewable tablets of DGL 20 minutes before a meal at less than $25.00 per month! Now that’s a savings worth considering, not only for your pocket book but also for your body as well. This product overview was written for the sole purpose of giving a brief history along with educational insights into the product listed above. It is not designed, in whole or in part, as advice for self-diagnosis or self-treatment and should not be construed as such.